Thanksgiving is wrapped up and the winter holidays are around the corner which means for parents, kids are home and excited about the holiday spirit! With all the energy and downtime, it’s a great time of year for parents to bond and spend quality time with the kids leading up to the New Year. 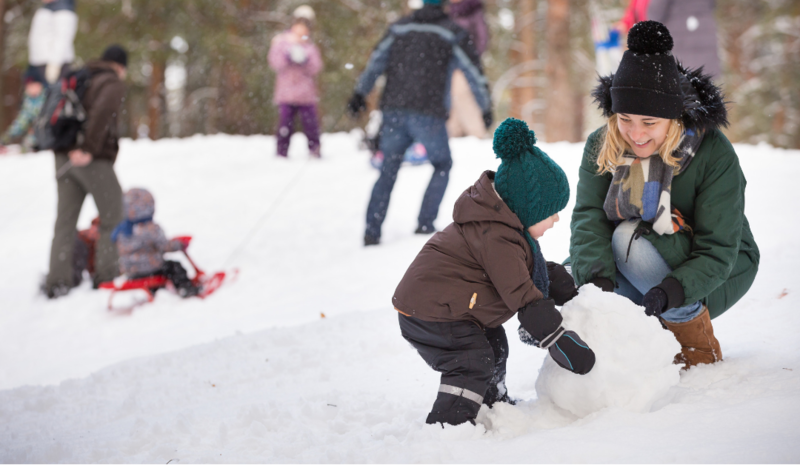 That’s why we’ve put together this fun list of winter activities for preschoolers to do during the holiday season! Protect the table and set them free! Kids love arts and crafts during the holidays, so why let them go crazy and get creative. 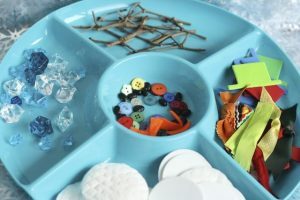 Put together a tray of colorful supplies and group pieces that kids can use to make their own snowman! 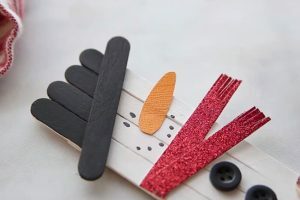 Stock it with craft supplies like buttons, sticks, cotton balls, scraps of paper and anything else you can find, and let their imagination go. Check here for more supplies and ideas to get you started. Little ones will love designing their own custom snowflake! 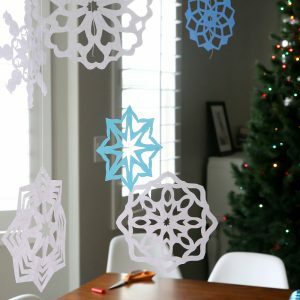 Snowflakes are a popular holiday symbol and easy to make with just a piece of paper and scissors. This is a fun activity to do with your kids that lets them feel like they can help decorate the home in the holiday spirit. Plus, it lets them study shapes and geometry as they craft their unique snowflake patterns! Find this tutorial for creating unique snowflake designs. The holidays are all about spending family time and making lasting memories. 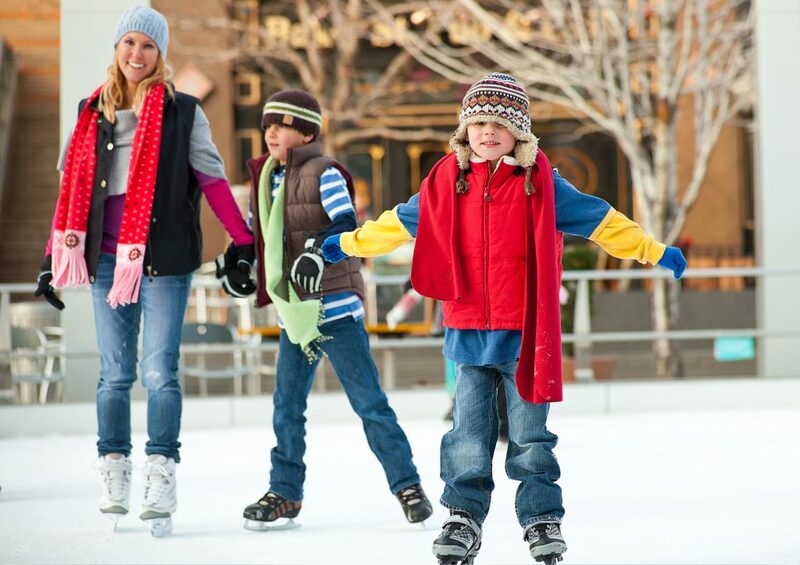 Make a family memory this season by taking your kids to the local ice skating rink surrounded by the holiday spirit. Whether or not it’s their first time learning, they are bound to create a lasting memory. Nearby rinks in Roseville and Sacramento let you make a day of it! One of the most fun holiday experiences is decorating the family tree. As a creative activity, have your kids create their own Christmas ornaments! From a snowman to Santa, kids will love seeing their own ornament hanging from the tree for years to come. With love and happiness surrounding the family during the holidays, sit back and enjoy a family read-a-loud of some winter must-reads with your kids. 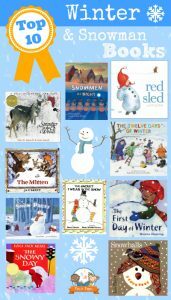 Check out this list of best winter books! Nothing is better than combining learning with holiday crafts! 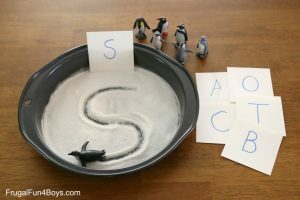 Snow writing is a creative way for your kids to practice their alphabet and writing skills while still experiencing winter! All you need is a cooking pan and snow to start writing letters. And for those of us valley-locked, a pan full of sugar can look just like snow! This fun visual learning activity is sure to keep your kid's eyes engaged! 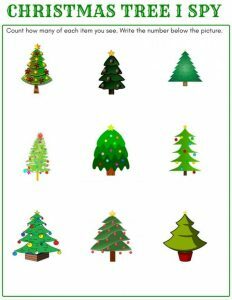 Call out descriptive clues to different Christmas trees and see if they can pick the right one! Print out this FREE I Spy Christmas Tree card or design your own to start testing your little ones. At Fusion Early Learning Preschools, we incorporate fun and engaging seasonal activities into our circuit theory curriculum that uses educational neuroscience to teach young kids. Learn more about our curriculum & sign up for a FREE tour to see one of our preschool locations today!